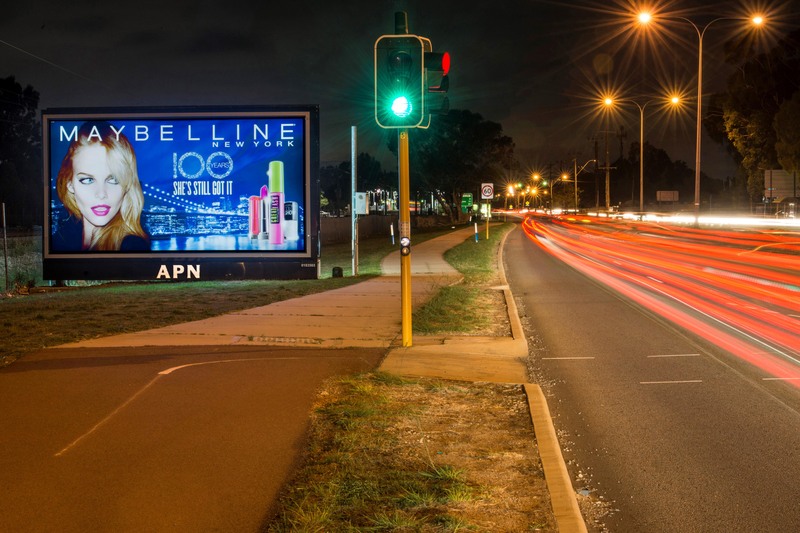 Outdoor media provider, APN Outdoor, has teamed up with Maybelline NY, its media agency, Carat Melbourne and OOH specialist Posterscope, for a new head-turning, large format billboard campaign promoting the cosmetic giant’s 100th year in business. The campaign utilises APN Outdoor’s premium billboard format The LUX Collection as a key part of its media strategy. Launched in 2013, The LUX Collection is comprised of 75 strategically located billboard sites in the five major metropolitan cities across Australia. The LUX Collection features the latest in LED technology to illuminate advertising campaigns for supreme impact and unrivalled exposure and is synonymous with high-end brands. For ease of purchase, The LUX Collection is available with a flexible two-week booking option. A study conducted by APN Outdoor uncovered that 81 per cent of all people notice Billboards on major arterial roads and 34 per cent of people strongly agree that Billboards improve a brand’s status. Maybelline NY’s campaign is running on APN Outdoor’s billboard network in Sydney, Melbourne, Brisbane, Adelaide and Perth and lighting up the streets with its eye-catching creative developed by creative agency McCann Melbourne. Further findings from APN Outdoor’s research have found that 77 per cent of people who notice billboards believe they are effective at reaching them while they drive. Maybelline NY’s large format billboard campaign is currently live on APN Outdoor’s billboard network and will be running through to the end of the month.